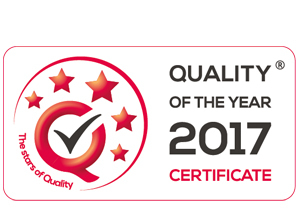 We are pleased to announce that our clinic has just received one more prestigious distinction: QUALITY OF THE YEAR GOLD and the QUALITY OF YEAR 2017 certificate in the service category. We are honored to take part in the award ceremony, and also very grateful that our efforts to maintain the highest level of service have been noticed and rewarded. Winning the competition has been one of the best known quality determinants, distinguishing and promoting the best in the industry since many years. 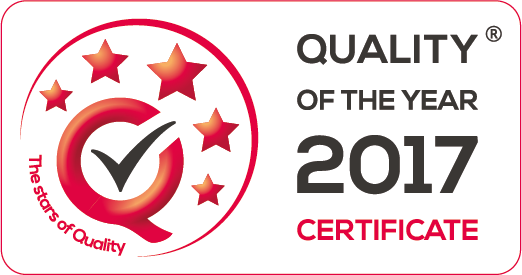 The certificate is awarded to entities the companies that put quality first. 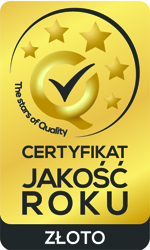 Past laureates are the brands well known for valuing quality as a priority: the Mint of Poland, Beko, Orlen, Soraya, Ziaja, Yes and many others. To obtain a distinction, a multistage, annual audit is needed, within which the overall company’s work and its progress are verified. In the certification process, the implemented quality management system and the desire to improve and develop are also important. The assessment includes, among others, quality indicators, quality management systems, internal quality control systems, certificates and approvals, employees’ involvement in the quality control system, aad a quality policy in the mission and development goals of the company. Thank you for this precious award!